The Toyota vs Honda rivalry reaches back decades, and they will always be compared to one another as they’re always comparable and, in our opinion, sitting atop whichever segment you might be looking at. 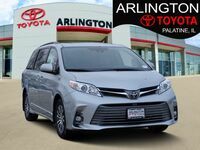 Today, we’re going to look at the minivan segment, which is perhaps the most competitive of the rivalry, as the 2018 Toyota Sienna and 2018 Honda Odyssey are extremely comparable. 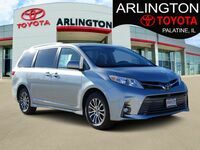 Even still, each minivan has its advantages, and we thought we’d dive into some of the most important aspects to consider when shopping for a minivan in our comparison. We decided to compile this data into the table below, and you can keep reading beneath that for more specific details! 39.1 cu. ft. 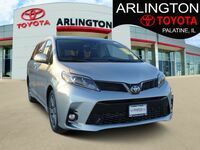 Cargo Capacity 38.6 cu. 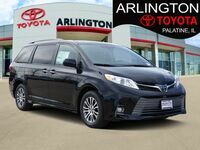 ft.
You might not think that minivan would deliver such an amount of power, but in order to haul all of those people, and possible cargo to boot, while still offering an enjoyable experience behind the wheel you better believe it requires a pretty powerful punch. 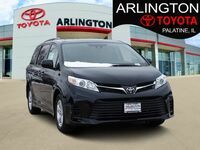 The Toyota Sienna almost breaks 300 with 296 horsepower, 16 more than the Honda Odyssey. 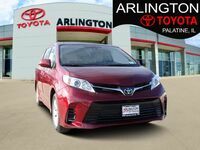 Despite the increase of power, the Sienna still manages to match the Honda Odyssey in terms of fuel efficiency. Both are quite efficient for such a heavy-load vehicle, but neither is going to save you any more money at the pump than the other. Similarly, they both offer seating for up to 7 passengers. 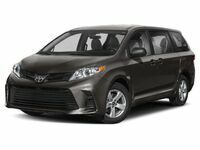 However, those 7 passengers will have slightly more room for their luggage or whatever they need to bring along in the Sienna thanks to a slightly larger cargo capacity. Half of a cubic foot might not sound like much, but that could be a whole backpack or something similar. 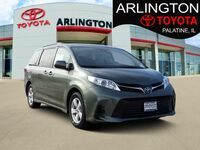 If you think you might be interested in a 2018 Toyota Sienna of your own, be sure to get in touch with us one way or another!